Now that Project Fi is starting to roll out, there is sure to be lots of questions as people sign up and start using the network. Where can you go to get help. There are a few ways to get help for Project Fi. 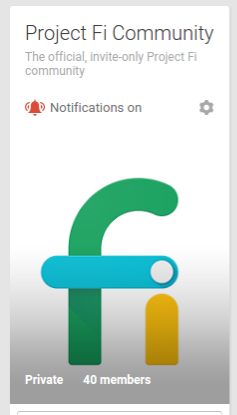 If that information isn't helpful you can you go to the Official Project Fi G+ Community. 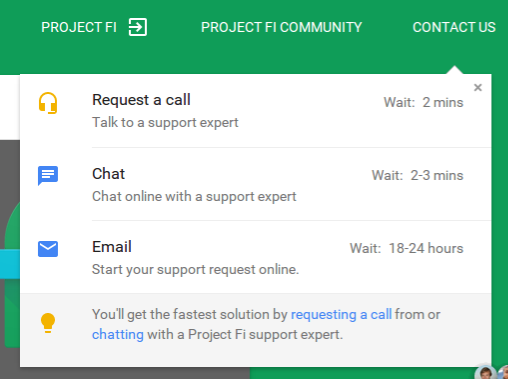 There you can ask any questions you may have and receive helpful advice from a group of Project Fi Top Contributors. As Project Fi is still in the Early Adopter phase, this Community is still Invite Only for those that are currently signed up for Project Fi. You can also go to the support site noted in item #1 and at the top right, you can click contact us. This will give you three options including Chat, Request a Call, or Email. Note you may get the fastest response using the Request Call feature. There is also a phone number you can reach out to that is only available for current customers 1-844-TALK2FI, which can be reached 24/7.